QUITMAN, Miss. 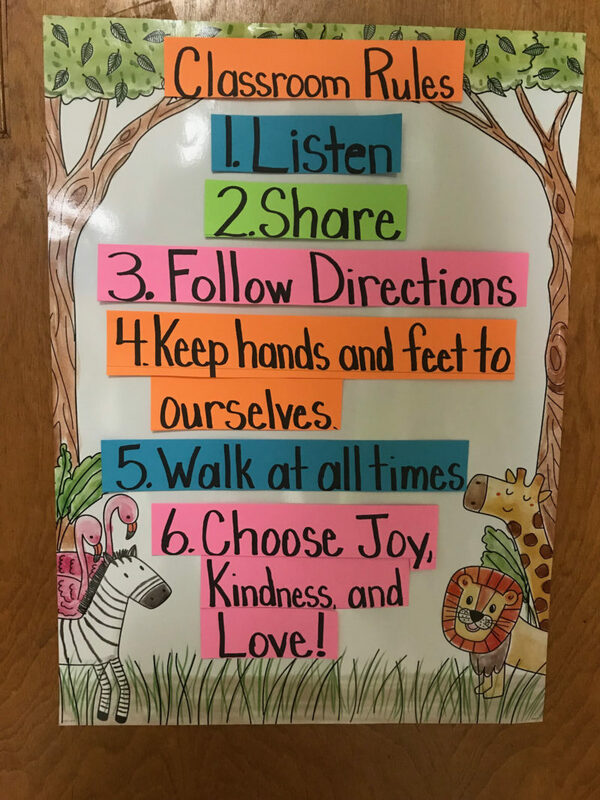 — On a muggy fall morning, pre-K teacher Ruth Shows inspected the work of students in her classroom, stepping over a cluster of little learners sprawled on the carpet. She watched a 4-year-old thrust her tiny hands into a plastic tub of rainbow-colored rice, scooping up handfuls of magnetic letters and numbers. Another began sorting the bounty, putting numbers into one tray and letters in another. What started as a treasure hunt had become a logic game in Quitman’s state-funded pre-K classroom, a free early learning experience that’s only recently become available to a small number of students in Mississippi. That’s why the kind of early learning experiences the twenty 4-year-olds are getting in Ruth Shows’ classroom on a daily basis hold so much promise for educators and parents, who are already seeing how far children have come since the start of the school year. Quitman’s pre-K success should have wide-ranging implications for Mississippi, where early results of the state’s tiny program are promising. More than 70 percent of children who attend pre-K in the state leave ready for kindergarten, according to 2018 accountability data. That’s a huge feat: Statewide, only 36 percent of kindergarteners were deemed ready during the same time period. Despite the state’s kindergarten-readiness crisis, only 2,174 students — roughly 6 percent of Mississippi’s students — are enrolled in state-funded pre-K. The state will spend $6.5 million to serve some 3,000 children next fall, less than 10 percent of those who are eligible, leaving the vast majority of the state’s 4-year-olds without access to state-funded preschool. Almost half of Mississippi’s 4-year-olds are not attending any preschool at all, according to the Annie E. Casey Foundation’s Kids Count Data Center, which gathers and publishes data on dozens of health and education indicators. Last year, Mississippi’s State Education Superintendent Carey Wright asked legislators for a $6 million increase for pre-K. 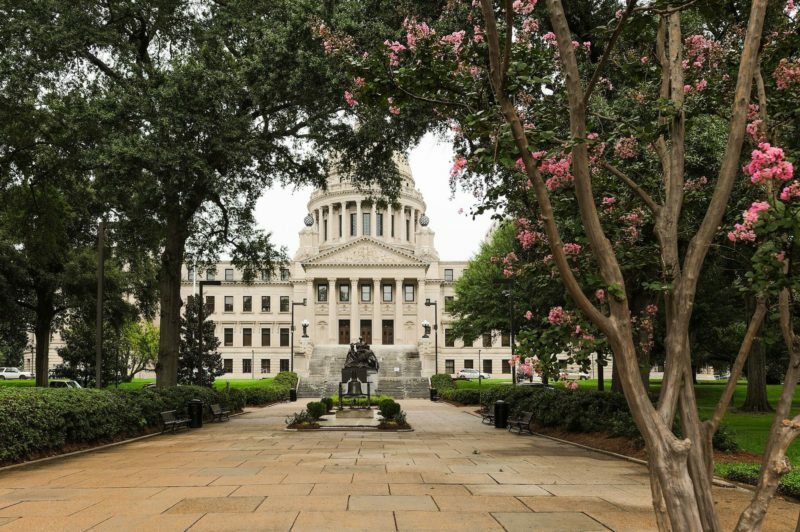 In the waning days of the 2018 legislative session, Mississippi lawmakers agreed to a $2.5 million funding boost — $3.5 million short of Wright’s initial request. Wright and pre-K advocates argue that more investment in early education via programs like that at Quitman could put kids on a stronger academic path at an early age. They also point to a growing body of research showing that high-quality early education can help move families out of poverty. Yet year after year, state legislators here say they don’t have money to expand early learning opportunities, citing competing interests like the state’s troubled foster care and health care systems. At Quitman, almost 100 of the 4-year-olds who are eligible for pre-K are enrolled. Many residents here work in the town’s industrial corridor, making boxes and Styrofoam cups, just a mile away from the elementary school. Thirty-six percent of the children in the district live in poverty. Before state funded pre-K was offered here, some early learning experiences existed, but they were limited to a local Head Start center, supported by federal tax dollars. In the fall of 2013, two district pre-K classrooms were paid for with limited state taxpayer money, but more than a dozen families remained on a waitlist. Having any publicly funded pre-K at all is a sign of progress in Mississippi, which for years remained the only state in the South without it. Success stories like Quitman’s were unheard of 2013, when Mississippi’s state legislature passed a suite of education reform bills, including $3 million for its first-ever pre-K pilot program, serving only four percent of the state’s four-year-olds, or 1,700 children. Mississippi has a long way to go to keep up with neighboring states like Alabama, which spends $96 million on pre–K, or Louisiana which invested $89.6 million in 2017. Most of the country outspends Mississippi in per-pupil funding for early education, with the exception of handful of states. These states also serve far more students than Mississippi: Alabama’s program reaches one out of four young children, while Louisiana and Arkansas each serve just shy of a third of their 4-year-old populations. “They know when the teacher’s talking to [sit] criss-cross applesauce while Little Johnny is doing flips on the rugs,” Williamson said. The social and emotional skills children pick up during hands-on activities, like listening when the teacher is talking, sharing crayons and taking turns playing customer and chef in the room’s play area, are also building blocks for getting along well with others, said Jill Dent, director of the Office of Early Childhood for the Mississippi Department of Education. When students come to school unprepared, the consequences can be severe. One out of five families in Mississippi said their children spent the year before kindergarten being cared for at home, instead of getting ready for kindergarten, results of a parent survey released by the state in 2017 show. The survey found these children were the least likely to start kindergarten prepared. Children attending childcare centers, where academic expectations may be softer, are also more likely to start school behind than their peers who enrolled in public or private pre-K programs. Starting behind can make it harder to catch up, research shows. At-risk children who begin school unprepared are 25 percent less likely to graduate from high school and 60 percent more likely to forgo enrolling in college. Meanwhile, children who start kindergarten with math and early-reading skills, such as letter recognition, are more likely to thrive in school later. Pre-K also teaches important non-academic skills, like how to hold a pencil, pay attention and get along with peers. And children who have access to high-quality preschool are more likely to graduate from high school and less likely to be held back, according to a team of researchers led by Dana Charles McCoy at the Harvard Graduate School of Education. Pre-K teacher Shows is seeing great progress in her classroom. Well into the third month of school last fall, almost half the class struggled to write their names. Some needed help with holding a crayon; others with forming letters. By Thanksgiving, though, only two needed assistance to hold a marker or pencil to print their names. Four of Show’s students were counting to 100, surpassing their end-of-year goal. Many recited numbers up to 30 by memory, meeting a new academic standard that Mississippi adopted for kindergarteners amid the rollout of Common Core Standards. By winter break, eight students were able to identify 26 letters and distinguish between their upper- and lower-case forms, while the rest of the class recognized anywhere between six and 22 letters — in line with what the state expects of 4-year-olds. 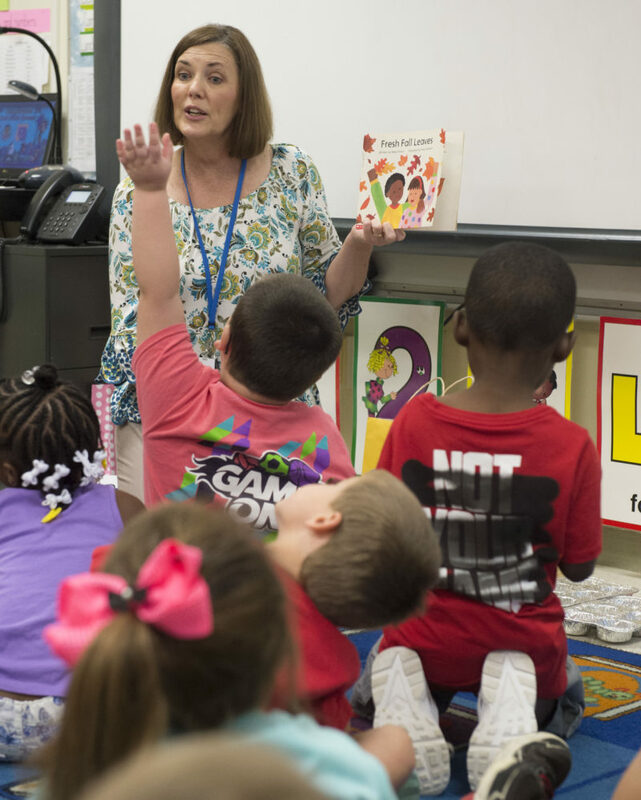 More than 70 percent of children participating in Mississippi’s pre-K program leave ready for kindergarten, according to an assessment of 2018 accountability data. On a recent morning in Shows’ class, 4-year-old Gage Wemberly couldn’t wait to share that he’d learned to spell his first name, noting that his mom’s name, Ginger, also starts with G.
Gripping an expo marker in his right hand and holding down a whiteboard with his left, Gage sketched out a scraggly G. He added four more to the writing slate around his name, Gage. Unprompted, Gage proudly added he could write a six, and proceeded to work on drawing a five. He’s one of a few students who has already started reading. His mother, Ginger Wemberly, says Gage has “socially blossomed” in the classroom. Gage likes to tell his mother about being a good neighbor. He told her recently about being “proactive,” a word she was impressed he had learned. State-funded pre-K brings other benefits to the community. Quitman is one of at least two state-funded preschool programs that offer workforce training and assistance finding jobs to parents with children enrolled. That means the district can help parents earn a commercial driver’s license or receive training to become an emergency medical technician, through a grant-funded partnership with a local community college. “That parent improving is going to improve that child, too,” said Lacia Donald, the early learning coordinator for the Quitman School District. Research also shows that high-quality early education can help move families out of poverty, but limited access means close to one out of two children from economically disadvantaged communities start kindergarten behind, according to the Ounce of Prevention Fund, a nonprofit dedicated to increasing early-learning opportunities. That’s long been the case in Mississippi, which has the third highest rate of child poverty in the country and some of the lowest student performance. Despite what may look like clear benefits of pre-K, some Mississippi lawmakers remain skeptical that students who had pre-K will continue to stay ahead of classmates who didn’t attend. Some have called for monitoring their performance on the state’s third-grade literacy exam. This year may be pivotal: The 1,700 children in Mississippi’s 2014-15 pre-K pilot are now in third-grade. With few exceptions, promotion to fourth grade is contingent on passing the test, which will have a higher bar this year. Legislators may look to the success of programs in Oklahoma, and North Carolina, where students who had been enrolled in pre-K outperformed their peers who had not attended, an advantage that persisted past the third grade. A 2017 report by researchers from Georgetown University on the Oklahoma pre-K program, in Tulsa, also showed that middle schoolers who attended pre-K had higher math test scores than their peers and were more likely to sign up for honors courses. Ellen Peisner-Feinberg, a researcher at the University of North Carolina’s Frank Porter Graham Child Development Institute, led a team that found North Carolina’s pre-K students performed well on standardized tests past the third grade. Despite these findings, Peisner-Feinberg thinks it’s short-sighted to judge pre-K success on test scores alone. “For some reason we tend to put a much greater expectation on what we expect pre-K to accomplish than we do any other grade in the education system,” Peisner-Feinberg said. Some lawmakers — unsuccessfully — proposed education bills aimed at pre-K last year, including one that would have established a statewide online preschool program and a universal pre-K program. Early in the session, Tollison cautioned that early education faced competition for state funds from other needs, like the recent push by Gov. Phil Bryant for a teacher pay raise and requests from school districts for more funding for career and technical education classes and legislators ultimately agreed to invest an estimated $58 million in teacher pay raises. Still things could have been different this year. Pre-K spending was only increased by some $170,000. State education officials say that’s enough money for 75 additional seats. 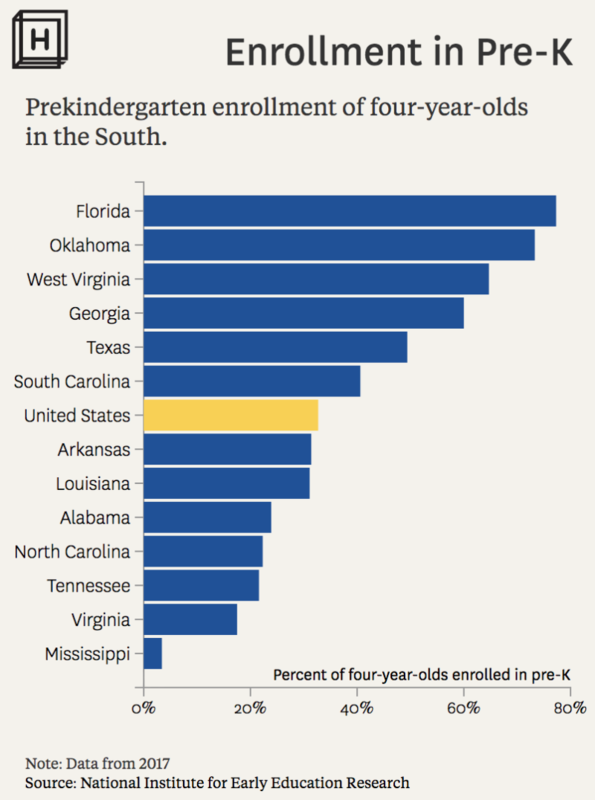 Related: Lessons from pre-K that works: Will Mississippi’s children finally move ahead? The state is currently offering a small grant program for districts to create classrooms that will also serve students with disabilities, but spaces are limited. Only five districts received funds allowing them to shift from offering self-contained pre-K classrooms — which only serve students receiving special-education services — to offering inclusive classrooms in which students with disabilities can learn alongside their general education peers. And while Mississippi received good news recently in the form of a $10.6 million federal grant that will boost child care services for some 60,000 children from birth to age five and help improve training for child care workers, that money won’t make its way into state-funded pre-K classrooms. Seeing the lack of state funding for preschool, business leaders and donors have stepped up to support the state’s pre-K program, believing that early learning can set the foundation for the state’s economic future. Scott Waller, who heads the Mississippi Economic Council, said early education is an omnipresent topic among the state’s business community. Last year, businesses and nonprofits donated more than $2.6 million to the state’s early learning collaboratives through a tax credit program. The W.K. Kellogg Foundation (among the various funders of The Hechinger Report) gave the state a $6 million grant to increase classroom quality. The funding — twice as much as the state’s initial investment in the program — will allow collaboratives to hire 18 coaches to assist pre-K teachers with planning hands-on activities and lessons, and to provide feedback on classroom instruction. The state’s push for a lottery could also result in additional funding if the windfall is big enough. Any revenue above $80 million collected from ensuing payouts has been earmarked for education and can go toward the state’s pre-K program. State Sen. Brice Wiggins, R-Pascagoula, who authored the legislation establishing Mississippi’s first pre-K program, is a proponent of further expansion. He’s proposed legislation to invest another $8 million in the program for the upcoming budget year. Wiggins also points out that Mississippi has come a long way. State law allows legislators to dedicate up to $34 million to Mississippi’s pre-K budget well into the next decade, and an influx of taxpayer support would allow the program to reach up to 15,000 kids — more than a third of 4-year-olds in the state. But Wiggins cedes that there could be pushback from fellow Republicans wary of making a substantial investment upfront, before seeing long-term results. Access for all 4-year-olds has also been championed by members of the Mississippi’s Legislative Black Caucus, who have filed legislation for expansion. Wiggins is not convinced that more money alone for expanding pre-K will solve the state’s education problems; instead, he has pushed for quality. In 2013, he introduced legislation embedding a uniform set of requirements, based on quality standards, into the state’s preschool program. The standards, established by the National Institute for Early Education Research, range from ensuring that all lead preschool teachers hold at least a bachelor’s degree to keeping class sizes to 20 or less. In 2017, Mississippi met nine of those 10 standards. Dent, of the state’s early childhood office, said the Department of Education is confident the state will gain recognition for meeting all quality benchmarks in the future. That’s good news for the small number of students in state pre-K, but it doesn’t solve the larger issue of access. The state’s school funding formula, known as the Mississippi Adequate Education Program, or MAEP, incorporates grades K-12 and has no dedicated revenue stream for public pre-K.
Back at Quitman, retired educator Hopkins is thankful for the opportunity the pre-K program has given her grandson Skip.